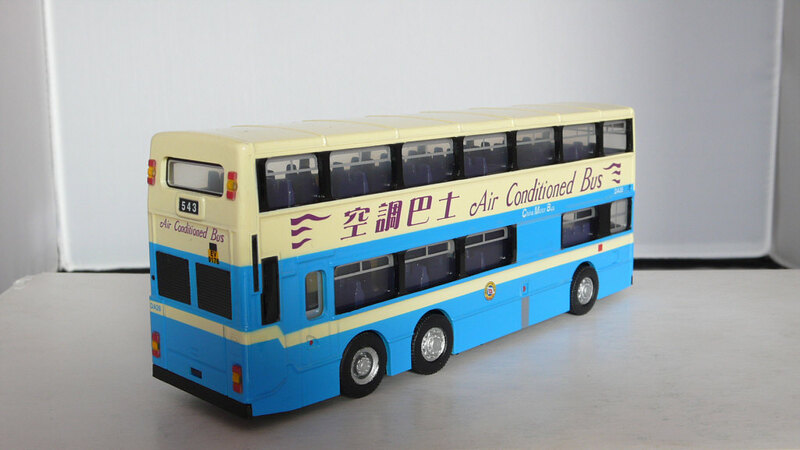 The model - this model carries the original 'air-con' livery applied by China Motor Bus. DA26 was one of the class to carry such a livery. The bus - the China Motor Bus 'DA' class entered service between 1990 and 1997. It consists of 92 vehicles, with DA1-DA56 featuring small top sliding windows, similar to UK vehicles, the windows being rubber mounted. 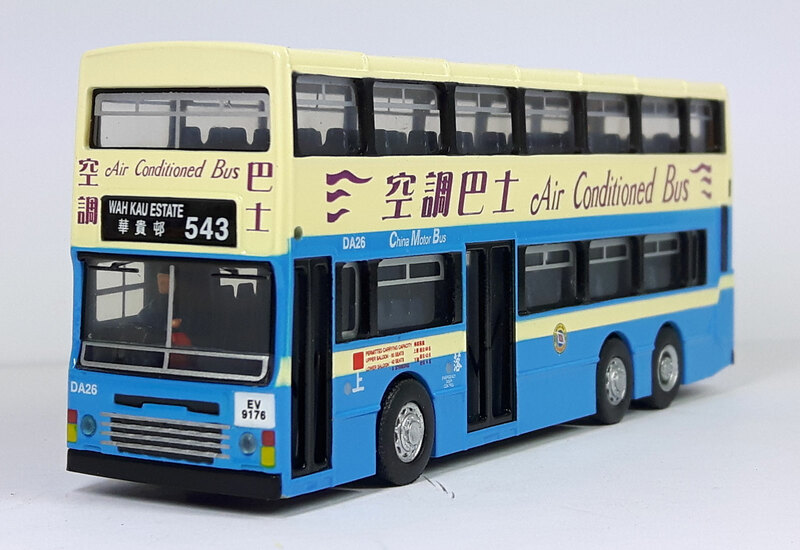 DA57-82 have no opening windows, these still being rubber mounted, whilst the final batch, DA83-DA92, have bonded glazing. DA26 entered service in July 1991.